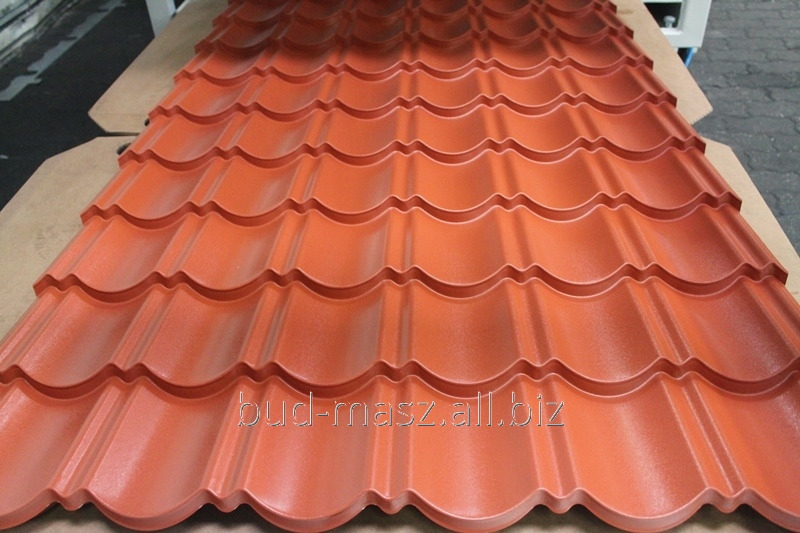 Possibility to make any design of roof tile in standard and symmetrical version. 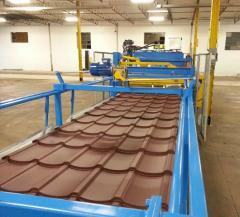 The machine can produce one, two modular tiles or do any length. Unbelievable price on LINE FOR PROFILING METAL TILES IN MODULE D18 721 Symetric in Lutomiersk (Poland) company P.W. "BUD-MASZ" MACIEJ STACHLEWSKI.